HolidayExtras.com is committed to offering big savings on the best choice of off-airport hotels. Birmingham airport has a wide selection of 3 and 4-star hotels with all of the facilities you'd expect. All Birmingham airport hotels we sell offer transfers to both terminals, so you won't have to worry about getting to the airport on the morning of your flight. What is an off-airport Birmingham hotel? If you've an early flight, you won't want to be waking early to drive to the airport. But holidays don't come cheap, so the last thing you'll want is to fork-out for an expensive airport hotel. 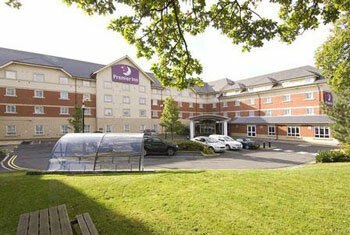 That's why booking a Birmingham off-airport hotel with HolidayExtras.com is a great idea. Rather than staying in an on-airport hotel and paying more, take a look at hotels close to Birmingham International airport. Usually just a few miles away, it's well worth the extra minutes on a transfer bus to make savings of up to 40 per cent on the standard price. Why pre-book a Birmingham off-airport hotel? You've already made a saving by staying that little bit further away, so why not make your Birmingham airport hotel stay even better value. We always recommend booking in advance. This is because hotel prices increase depending on availability. Pre-booking an off-airport Birmingham hotel is the perfect way to start your holiday with more in your pocket. All the hotels at Birmingham airport we sell are classified by star ratings, with a selection of 3-star and 4-star off-airport hotels to choose from. Take a look at the convenient Holiday Inn Express NEC Birmingham Airport, the popular Premier Inn Birmingham Airport, the great value Coventry Hill Hotel Birmingham and the comfortable Quality Hotel Coventry. Wanting to make your stay more memorable, but still looking for a great deal? Our 4-star Birmingham off-airport hotels are perfect. 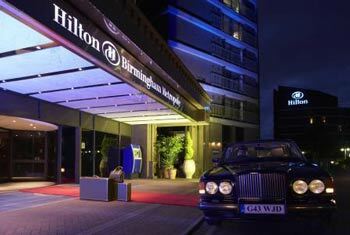 The luxurious Hilton Birmingham Metropole and the Crowne Plaza hotel Birmingham offer guests a special stay in plush surroundings with ample leisure facilities. The Holiday Inn Birmingham Airport is just over two miles from Birmingham airport, and you'll find high quality rooms, a heated swimming pool and restaurant serving delicious meals. Book today and make those big savings.